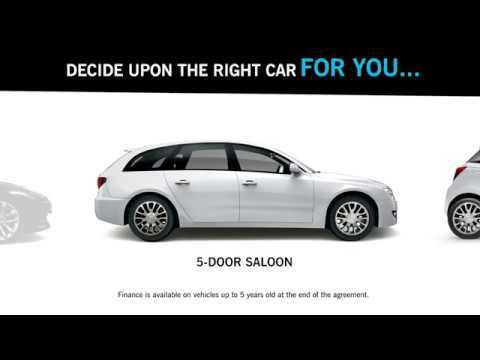 Why Choose Us For Used Cars? Why Choose Vospers for Used Cars? We are a family owned business that has been operating in the Southwest since 1946, offering a fantastic choice of quality used vehicles, along with a range of cash and car finance offers to suit every budget. With our Price Guarantee you can be sure of the best price for your next car. We have 7 sites throughout Devon and Cornwall offering a comprehensive choice of Ford, Mazda, Peugeot, Fiat, Alfa Renault, Nissan Seat and Jeep Approved Used Cars and Vospers Premium Used offering you a wider selection of premium car brands such as BMW, Mercedes, and Volkswagen. We also offer a selection of Value Vehicles from a specialist centre in Chaddlewood. We understand that buying a used car is a big step, and we want to make it as simple as possible for you. If you’ve found the perfect used car at one of our dealerships but it’s miles away, contact us and we will be more than happy to move it to a more convenient branch to you, for ease of test drive and viewing. It’s easy to do online and for a £100 refundable reservation fee, your ideal car can be much closer than you think. Find out more how Reserve Quickly Online works. Start your search today by heading to our car locator, and searching for the models nearest to you. Lastly, we think the most important opinion on whether you should make Vospers the company to make your next purchase with is that of our previous customers. We subscribe to Judge Service, who act as an independent body asking each customer on how they rated their purchase experience. These testimonials are being updated on a daily basis and please feel free to review our live feedback from Judge Service via this link. We also believe in offering a fair transparent finance package where every customer is treated fairly. We have a significant relationship with Black Horse which means we are able to offer 2 ultra-competitive finance rates within the Used Car Dealer Sector, we have a set 5.9% APR for car under 6 months old or where the balance to finance is over £18000, or 9.9% APR where the car is older than 6 months and the balance to finance is under £18000. We offer PCP and Hire Purchase where applicable and all our cars have representative examples that you can personalise to suits your budget requirements. Vospers is regulated by the Financial Conduct Authority. All of our used vehicles are inspected and prepared by fully trained technicians using our 65-point check. Every vehicle has a minimum of 9 months MOT remaining at the time of preparation and receives a full mechanical inspection. Comprehensive mechanical and electrical inspections are carried out by our qualified technicians utilising the latest diagnostic equipment to a detailed set of standards to ensure that you are guaranteed a hassle-free, 'Vospers Retail Approved' vehicle ensuring that it is functioning as it should. To ensure the vehicle has no outstanding finance, stolen or even written off we carry out extensive vehicle background checks including the history and mileage prior to sale. Our skilled technicians thoroughly inspect all of our cars for scratches, dents, corrosion and cracks across the bodywork, glass and wheels prior to sale. Any rectifications are made using the latest cosmetic repair equipment. Inside the car we'll check all seat upholstery, carpets, headlining and trims are checked and refurbished where required. Some of our cars may show more visible signs of wear and tear across the bodywork and wheels but we'll ensure these are in line with the age and mileage of the car. 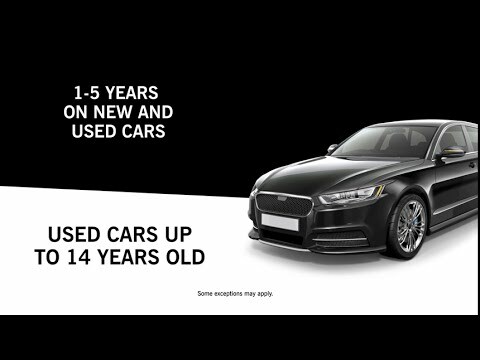 We pride ourselves on presenting our used cars to a high standard. All vehicles are professionally valeted inside and out prior to sale. We're constantly reviewing the used car market to ensure that our vehicles are the most competitive, meaning that you get the best possible price for your next car. We believe that our prices are the best available on the market within in the Southwest and do this by working in conjunction with Autotrader. As the UK,s No.1 advertiser of Used Vehicle stock they provide us with the most complete data source to complete our price comparison. So, if you can find a similar car for less at a competitor dealer within 7 days, we will refund the price difference. "If you can find a similar car for less at a Competitor Dealer within 7 days, we will refund the Price Difference." 1.2 Company means Vospers or any subsidiary of the same as defined by section 1159 of the Companies Act 2006 and as identifiable as the Seller on the Order. 1.3 Day or Days means any day including a Saturday or Sunday or Bank Holiday (as defined in the Banking and Financial Dealings Act 1971). For the purpose of the Vospers Price Guarantee, the first day of the seven Day period shall be inclusive of the day the Customer places the Order with the Vospers Dealership. 1.4 Vospers Dealership means the motor vehicle dealership owned and operated by the Vospers group of companies. 1.5 Similar Car is a vehicle on general retail sale at a Competitor Dealer which matches the Vehicle on a Like-for-Like Basis pursuant to the Order. For the avoidance of doubt, a vehicle is limited to a passenger car. 1.6 Like-for-Like Basis means a car of the same make, model, colour, specification, model year, registration plate year, offer, any applicable vehicle manufacturer approved used scheme or status, with a minimum of 6 months MOT (where applicable), having a verified mileage within 2000 miles of the Vehicle, available for sale and capable of being purchased without costs additional to the advertised price, at a Competitor Dealer within the Southwest. 1.9 Order means the order set out on the Vospers Dealership order form for the purchase of a Vehicle under which the Customer has paid a minimum deposit of £100 in cleared funds or only in the case of a vehicle that has been the subject of a move from an originating Vospers Dealership to a destination Vospers Dealership under the Reserve Quickly online scheme, Order shall refer to the price of that vehicle advertised on www.vospers.com by the originating Vospers Dealership at the time the Reserve Quickly online request was made by the Customer. 1.10 Southwest means within the counties of, Devon, Cornwall and Somerset. 1.13 Vehicle is a privately owned used passenger car purchased from the Vospers Dealership pursuant to the Order. 2.1 The Vospers Dealership will at its discretion either refund the Price Difference, or reduce the Order by the Price Difference, provided that the Customer can demonstrate by the Provision of a genuine written invoice or quotation from a Competitor Dealer that a Similar Car is available at a lesser Price on a Like for Like Basis within 7 Days from the Customer placing the Order with the Vospers Dealership. 2.2 The Customer is entitled to claim the Price Difference only if his claim under the Vospers Price Guarantee is submitted in writing to the Vospers Dealership within 7 Days of the Customer placing his Order. 2.3 The Company reserves the right to vary the terms and conditions of the Vospers Price Guarantee at any time. In the event of any dispute as to the interpretation of these terms and conditions, the application of the same or otherwise, the decision of the Vospers Dealership shall be final. 2.4 Save for the Price Difference, the Company and/or the Vospers Dealership shall not be liable for any claims, demands, damages, expenses or costs (including, without limitation, legal costs) incurred or made against it howsoever arising, whether directly or indirectly from the Vospers Price Guarantee. 2.5 Any refund made to the Customer as a result of a claim made under the Vospers Price Guarantee shall be paid in £ pounds sterling via an electronic transfer to the Customers designated bank account or via cheque, within 30 Days of an Vospers Price Guarantee claim being received. 2.7 A person who is not a party to the Vospers Price Guarantee shall not have any rights under or in connection with it and the provisions of the Contracts (Rights of Third Parties) Act 1999 are expressly excluded. Used Car 30 Day Exchange Policy. Your Vospers Approved Used Car has been subject to a rigorous Multi Point Pre Sales check to give you the assurance that you are purchasing an unrivalled quality car however, we undertake that, should any mechanical or electrical defect occur within the first 30 days or 1000 miles of your ownership which cannot be rectified, and providing that the car is in the same condition as when purchased then your supplying Dealer, will exchange it for another of equivalent or greater value. The car must have been purchased under the Vospers Approved Used Car Programme. The definition of “Customer” means any private individual who has purchased a Car from a Vospers Dealership. The Dealership is satisfied that the Customer owns the Vospers Approved Used Car and is fully entitled to exchange it under this Exchange Plan. It is readily available from the same Dealership’s stock. Before any exchange is affected under this Exchange Plan, the Customer shall be responsible for making all the necessary arrangements relating to the financing arrangements for the purchase of the original Approved Used Car and the Replacement Car. Any exchange shall be subject to the Dealership being satisfied with such arrangements. Namely, if the original Vospers Approved Used Car is subject to a Hire Purchase Plan, a new Finance Plan for the replacement Car must be completed and the relevant deposits paid by the Customer. Where the Customer wishes to exchange a Vospers Approved Used Car for a Replacement Car with a higher price, the exchange will not take place until the Customer has paid the Dealership the price difference. This Exchange Plan only applies to the Vospers Approved Used Car as detailed above. Only one exchange will be considered and this Exchange Plan shall not apply to any Replacement Car.